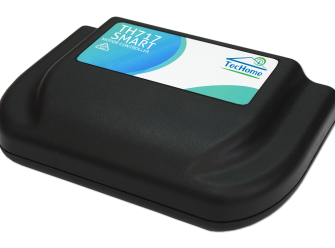 TecHome provides wireless control products, customised automation solutions and linear actuators to a broad range of businesses, industries and private home owners across Australia. We pride ourselves on offering quality products at affordable prices, local support and excellent customer service. Visit us at the Brisbane EQUINOX Architecture show to see our brand new industry changing Smart Motor (& Lighting) Controller and learn how our Motion and Automation services can be integrated into your architecture projects. Visit our stand to see how we can automate your: Opening roofs Doors Windows Facades and much more Description Equinox, the boutique event.. This Australian designed and manufactured motor controller can be fully customised and programmed to suit any application such as opening roofs, hatches, windows and any other architectural application you can think of. Since 2005 TecHome has been at the forefront of domestic and industrial wireless linear actuators and remote control solutions in Australia. Initially a division of electronics design and manufacture company Hetech, TecHome now includes TecIndustry, with clear division for domestic and industrial control and automation products. Whether you are a manufacturer looking for fit for purpose automation solutions for your next industrial project, or a DIY enthusiast searching for easy to install componentry and remote technology for your home, office or recreational applications, we have you covered. Automation and Control: Not sure which one you need? TecHome can help. Give us a quick call on 1800 773 139 to discuss your requirements. We understand that every customer’s specifications are different, so we’ll tailor a solution to precisely meet your needs. We offer simple and affordable solutions to suit any budget. Call us today, you won’t be disappointed! Control is the operation of a single electrical device via remote control, i.e. a light switch or power point. TecHome’s range of remote controls are ideal for controlling any electrical device within the home, office or factory. If it can be turned on and off, you can control it with a TecHome remote. We can help you wirelessly control indoor and outdoor lighting, opening roofs, heating and air conditioning, garage doors, gates, awnings, blinds, security, water pumps, irrigation, industrial equipment, agricultural equipment and more. Automation is a system of devices that interact with each other to carry out a multitude of tasks, without interaction from the user. A common form of automation is the home automation system or ‘smart home’, where a range of electrical devices within the home are automatically controlled by a central control unit, making home life easier, more convenient and comfortable. We can customise a solution for your home, office, factory, commercial or industrial site. If you’re looking for a good quality actuator with local support, TecHome offer a range of actuators that can lift weights of up to 1000kg. Not sure what kind of actuator you need? Give us a quick call on 1800 773 139 and we’ll give you some advice on what kind of actuator will suit your application, or we can put together a complete package to suit your requirements.